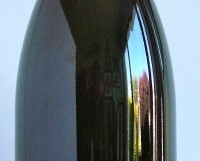 A new vintage of a wine produced by Irishman Simon Tyrrell. No ordinary Côtes du Rhône, but a very nicely crafted wine with excellent purity of fruit and a lovely freshness. Delectable just-ripe dark fruits, with prefect balance and a smooth palate. I would drink this with all manner of white and red meats, game and firm cheeses. Stockists: 64wine, Glasthule; Donnybrook fair; Jus de Vine, Portmarnock; One Pery Square, Limerick; The Drink Store, D7.